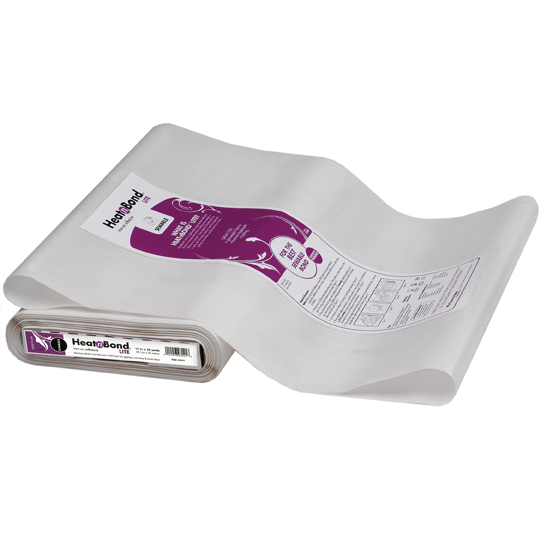 N038-3521 HeatnBond® Lite is a paper backed, iron-on, sewable, double-sided adhesive for bonding fabric without extra weight or stiffness. Use it in place of pinning or basting for appliqué shapes on quilts, wall hangings and attire. Draw or print directly on the paper backing to easily design appliqué pieces! 17 in x 35 yd bolt.